Two years ago, I discovered Oven-baked Jollof rice. 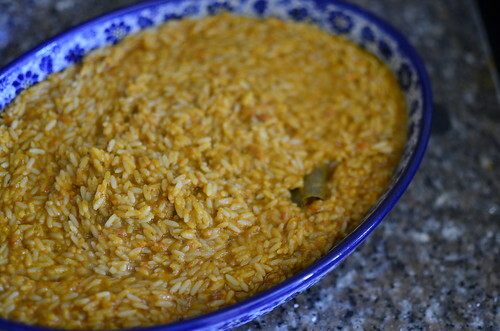 I’d made rice a few times in a clay pot in the oven but it never occured to me that Jollof could be made in the same way. It was at my sister-in-laws in Mount Vernon, New York where I saw her cook up the most amazing rice in the oven, with little effort. I dug about and it turns out that this is very much practice for Nigerians and Africans in diaspora – something about the ease maybe? It frees up the stovetop – I can cook and do more. It doesn’t require ‘mothering’ of the pot – you mix the ingredients in, set it in the oven and let bake away. Step 2 is easy because the rice cooks at an even temperature so there aren’t any issues (except of course your oven has hot spots). 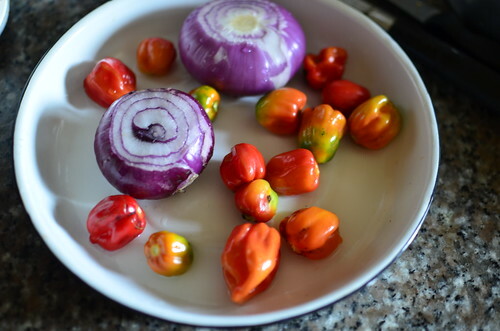 I’ve had varied results with this method – sometimes, it has been exactly like stovetop Jollof, at other times it’s been nice but not what I would call ‘Jollof’. I think the key to making a ‘correct’ pot lies in cooking the tomato sauce down, almost to stew readiness…and spicing it too. My version – featured here with long-grain rice was the best I’d ever made. 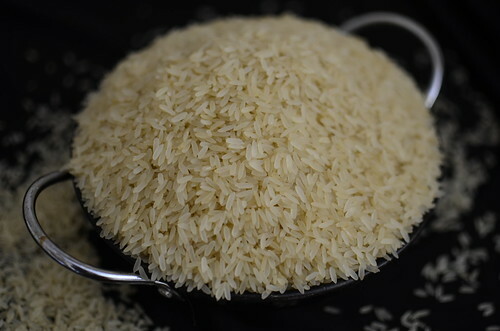 The rice shouldn’t ‘swim’ in liquid – the grains should be nicely coated and wet. If you seek smoky flavours, allow cook for a bit longer. 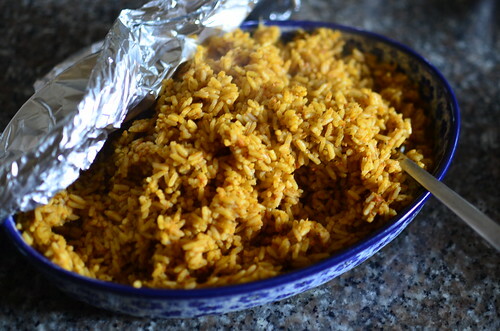 There are three (3) key processes in making the best Jollof: cooking the tomato sauce, par-boiling the rice and making the Jollof. Rinse the rice and set to cook in a large pot with water just up to top of the rice. 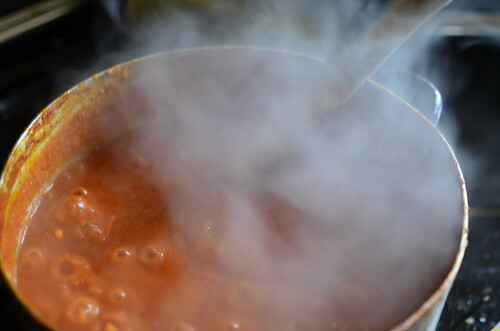 Season with a pinch of salt- you don’t want to over season as both the tomato sauce and stock are seasoned. Cook for 10 minutes then take off the heat. If there’s any liquid, strain off and set aside. 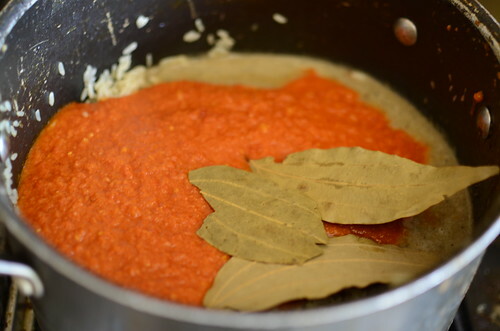 With a wooden spoon, stir the stock, tomato sauce and bay leaves into the rice. The rice should be wet with sauce, but not swimming in liquid. 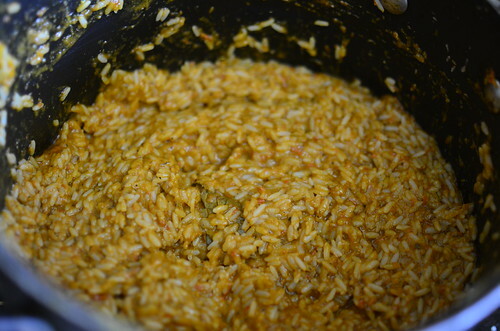 Ensure the spoon reaches the bottom of the pot as you stir, so that every bit of rice is coated with the sauce. Spoon into a deep dish or baking pan (the depth of the dishes I’ve used have been between 5 and 10 cm deep), spreading so the rice is leveled out in the pan. 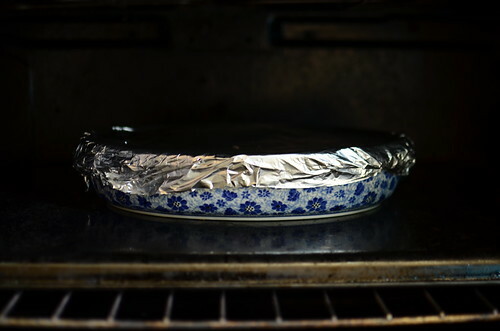 Cover with a double layer of foil – this is the lid, ensuring the edges are pressed to ‘seal’ the pan. Bake in the centre of an oven set at 180 degrees Centigrade for 30 minutes. You won’t need to stir till it is cooked. Remove the rice from the oven to check for doneness, before turning off the oven. Gently lift the foil, being careful because of the steam. 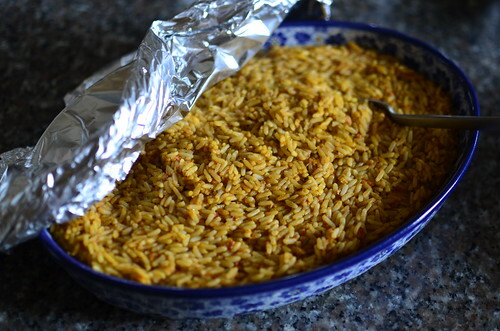 Allow the rice rest for 5 – 10 minutes, then take off the lid, gently stir through. Serve with Nigerian salad, Suya chicken and Fried plantains.